Recently Chuck started getting the concept of hide-and-seek. I'm so stoked about that and love playing it with him at the park. But we've had to cut our park time down with the days getting shorter. Boo! To help pass the time at home, we've tried doing activities that embrace the dark. So far we've made our bike wheels glow in the dark and even given ourselves glowing temporary tattoos. Here's another way that we've entertained ourselves- we've played some Star Hide-And-Seek. My son loves pointing out the moon at night. Today I'm over at DIY Candy sharing how I made him this adorable glow in the dark moon shirt. 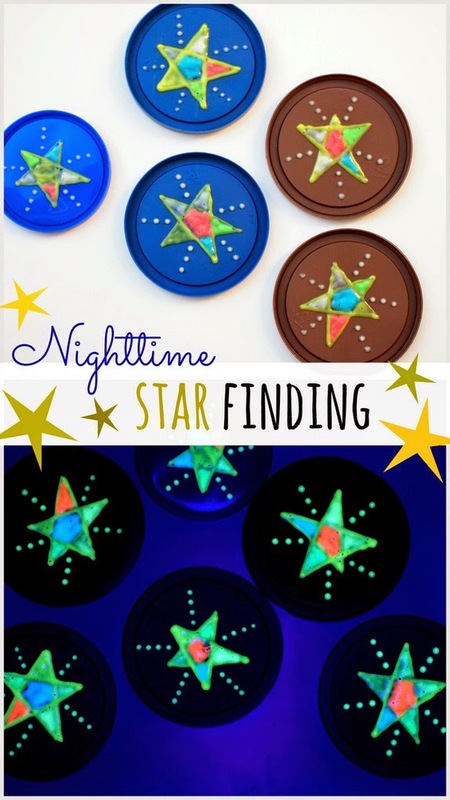 And if you really like glow in the dark crafts, here are some more from the archives! How to draw glowing designs on your skin! The activity was a hit! 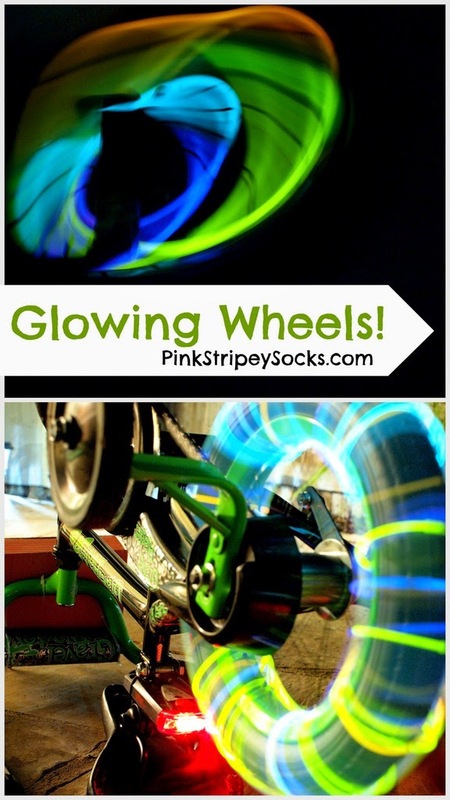 Make Glow in the Dark Wheels! Yup. This was a super easy activity that didn't cost very much to do and required very little set up Plus, it got us outside and we made some beautiful glowing art. 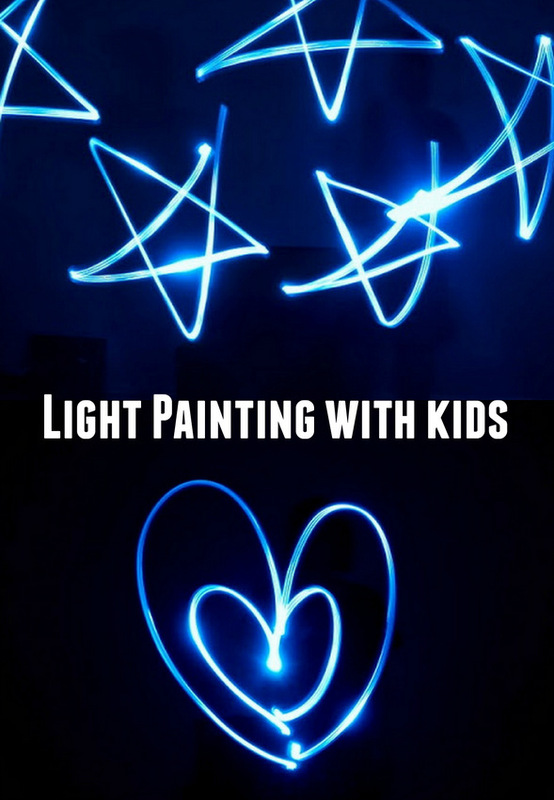 Yup, you could say that the activity gets "glowing reviews" from our whole family? Get it? Hee hee hee. Ok. Here's what we did! How did I make my skin glow? 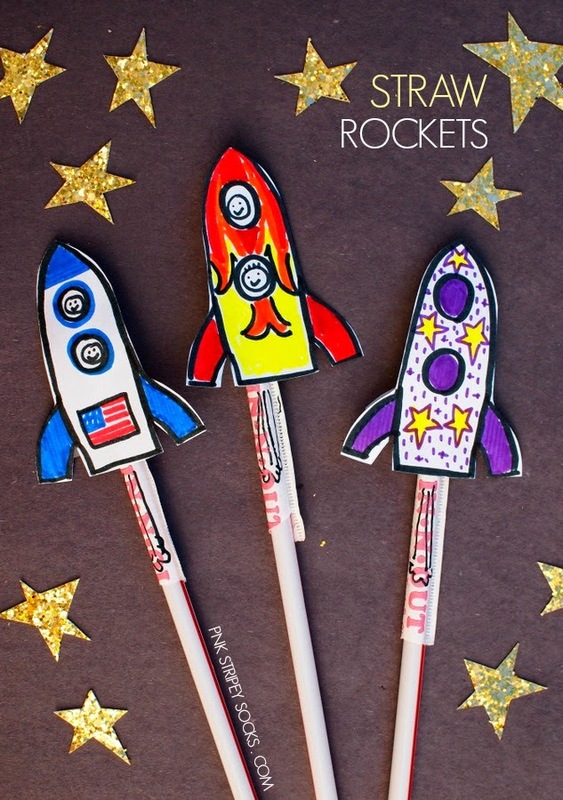 Looking for an easy way to entertain the kids this weekend? How about making their skin glow? Yurp. It's 1:30 AM here and I should be sleeping. But I'm not. Why? Well, I couldn't because all my craft juices were flowing after seeing this tutorial. 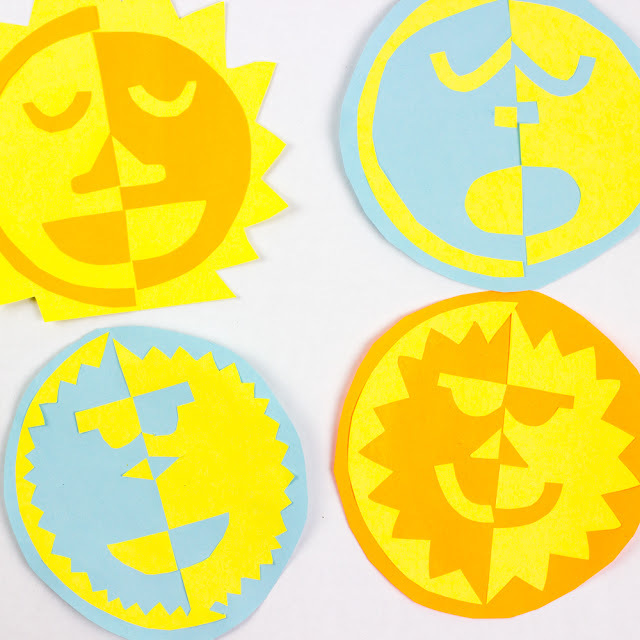 Did you know that you can make your skin glow... with only 2 materials? I had to try it out for myself. So I took a highlighter and black light and then got working. And guess what? It worked! The highlighter glows under black light! Can you guess what Chuck and I will be doing this weekend? A couple of weeks ago Chuck and I were perusing the Halloween aisles at Target (for the bajillionth time... what can I say? It's my favorite holiday!) and I spotted a pack of glow in the dark chalk. Then a light bulb went off in my head. I could buy the chalk... but it'd be more fun to try making my own. So after tinkering around for a bit.... I came up with this result. What what? Yup. They glow after you "charge" them with light. Just doodle a design at night, shine a light on them to "charge" them, and then turn off your light. Your doodles should glow for a bit and then you'll need to charge them again. On the outside the umbrella is black. But open the umbrella up and wow, you're now standing under a galaxy full of twinkling stars. Let's get crafting! 1. Cover the umbrella's ribs with painter's tape. 2. Make your fabric paint. Not sure if you have this problem, but I own a ton of craft paint and very little fabric paint. So instead of buying different bottles of fabric paint, I bought one bottle of fabric medium to turn my craft paint into fabric paint. (Wow, right? Oh Martha, you crafty minx! What will you think of next?) Following the bottle's directions, I mixed the fabric medium and the craft paint together to make black, blue, purple, red, yellow, and white fabric paint. 5. 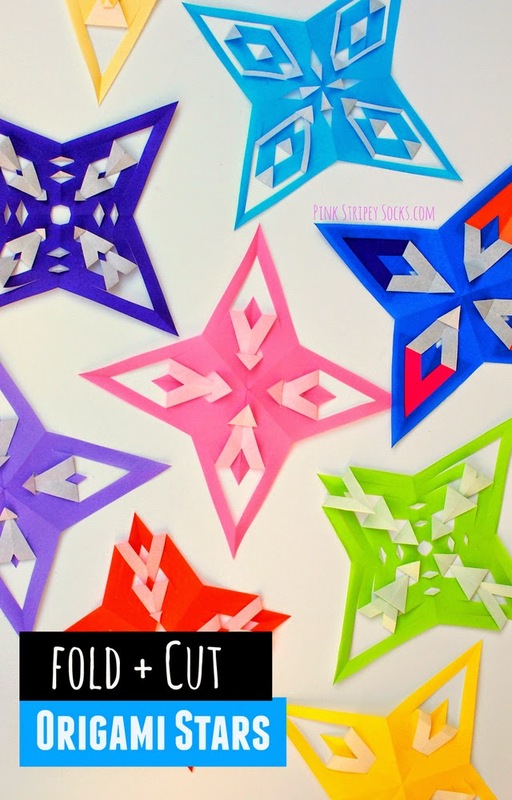 Make some stars cross shaped to look like they're twinkling. Remove painter's tape. Then, let your masterpiece dry overnight. Voila! Now you've got your very own galaxy. Open this baby up on an icky rainy day and you're guaranteed to feel better. 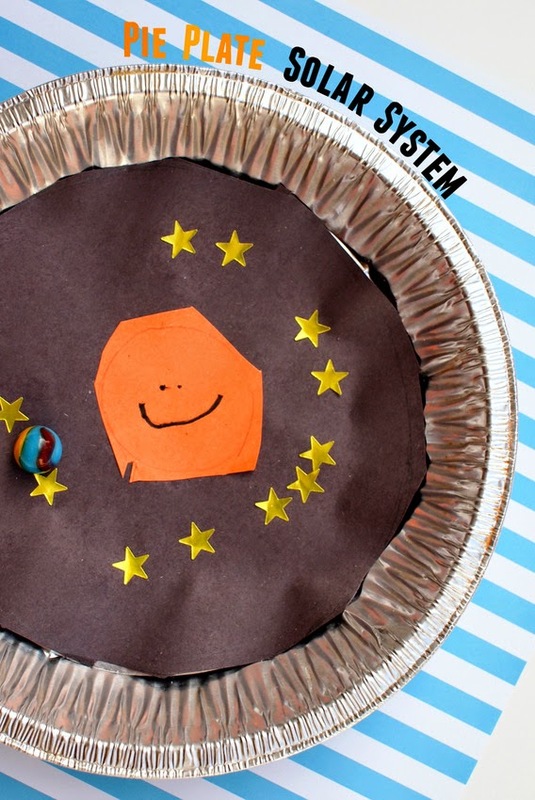 Have fun creating your own galaxy! UPDATE 8/26/13- I've now taken this umbrella out a couple of times and the paint is fine. Phew. The only problem that I have with this umbrella is that the insides are now a bit sticky, so the umbrella is a bit more difficult to open. Have you ever had one of those "I wonder if..." moments? A couple of nights ago hubby and I opened a canister of glow sticks to play around with them and take photos. 3. I added a bit of corn starch to the glowing liquid to thicken up the paint. 4. Use your paint to paint pieces of paper towel placed over newspapers. Now, I'm sure you already could guess this... but sadly the images don't glow forever. So enjoy their beauty while they last. You know how there are TONS and TONS of beautiful craft posts floating around online? Well, this isn't one of them. This week's crapt is a DIY galaxy light jar... and it came out looking a tad... crapty. - disposable cake tin <-- crap! (3) Trace the bottom of your jar onto the cake tin and cut the circle out. (6) Roll your rectangle into a cylinder. Tape the cylinder so it keeps its shape. Squeeze your cylinder into your jar. (7) Turn on your LED light and drop it in the jar. (Make sure the light faces the bottom of the jar.) Screw on the lid. (8) Turn off the lights in your room. Orient the jar so that it's resting on the lid. 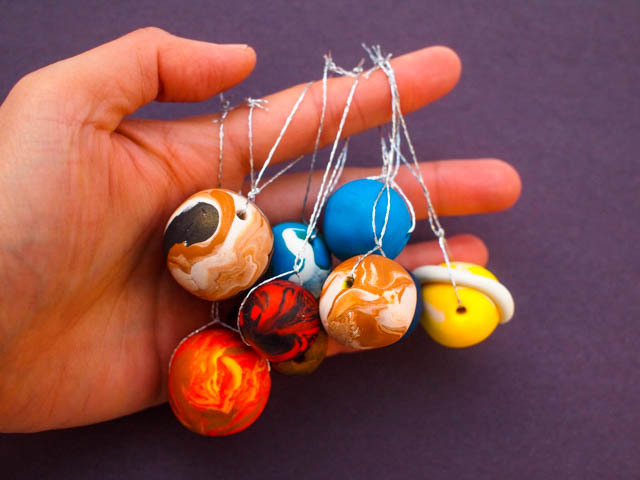 Enjoy your very own mini galaxy.